Let Our Trenton Dentist Help Protect Your Teeth And Oral Health with custom fitted mouth guards! 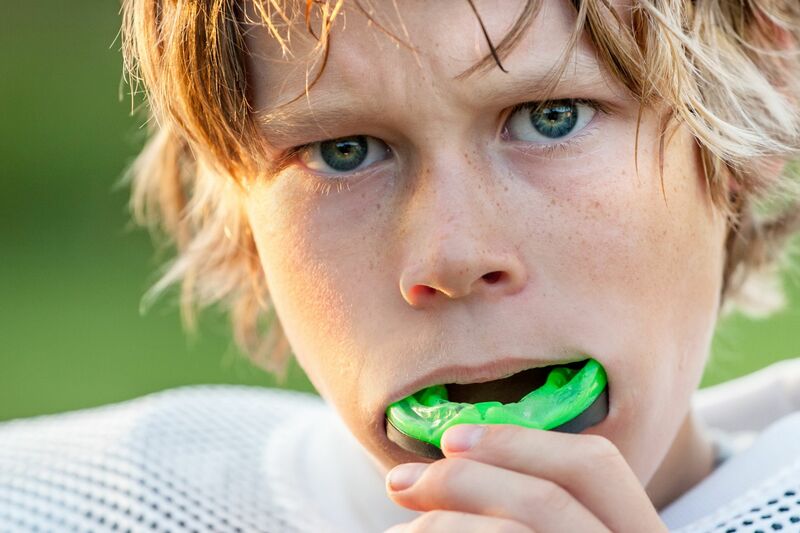 Mouth Guards are resilient plastic appliances designed to cover over and encase a person’s teeth and the gums and the bone that support them. The guard is meant to provide protection for the teeth, jaw, lips, cheeks and gums by absorbing and redistributing the impacting forces of teeth grinding or injuries to the area of the mouth. They are custom made mouth guards that perfectly fit your jaw and teeth. They protect your teeth from grinding forces, if you tend to grind your teeth while sleeping, which is a habit that’s very hard to control. In cases of accidents and sport injuries, when a blow is delivered to the mouth, the forces of the impact are absorbed by the structure that’s affected. In the case of hard oral tissues such as teeth, a forceful impact can easily cause a tooth to fracture or dislodge, or cause damage to existing dental work (dental crowns, bridges, porcelain veneers, dental implants). In the worst case scenario, the impact can affect your jaw joint and can even cause concussion. Sports Guards protect your teeth, jaws and gums from any damage or accidents. At Riverside Dental Centre in Trenton, we offer you custom mouth guards. An impression of your dental arch is taken to provide you with the best protection. Mouth guards and sports guards are very important if you’re a professional athlete or simply partake in high intensity activities.